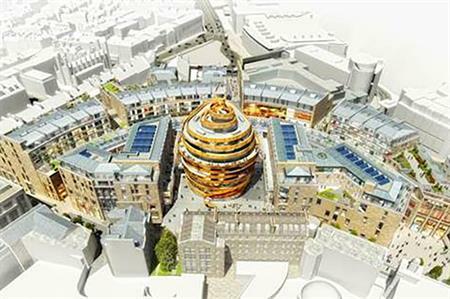 Starwood Hotels & Resorts will debut its W Hotels brand in Scotland with the opening of the W Edinburgh in five years. The W Edinburgh, scheduled to open in 2021, will be the focal point of a 160,000sqm city centre development, which will include retail, entertainment and leisure facilities, as well as residential apartments. The hotel will feature 214 rooms, including 20 suites and the W brand’s signature ’Extreme Wow Suite’. A fine-dining restaurant will complement a rooftop destination bar, which will include an outdoor terrace overlooking the city skyline. A luxury spa and gym will also feature. Groups will also be catered for, with 230sqm of meeting and event space. Michael Wale, president of Starwood Hotels & Resorts, Europe, Africa and Middle East, said: "W Edinburgh’s location at the pulsing heart of the new Edinburgh St James development, combined with its innovative design, contemporary interiors and the W brand’s signature programming, will create the perfect setting for the second W hotel in the United Kingdom." Starwood Hotels & Resorts unveiled the UK's first W Hotels property in 2011, with the opening of the W London - Leicester Square.